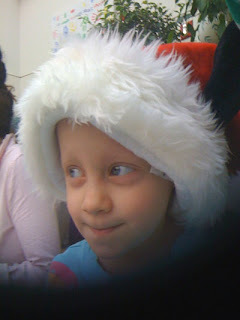 Yes, she's a perfect elf - and just so cute. I love the sleeping pic - my 3-year-old sleeps with his hands under his cheek like that, too. Precious. 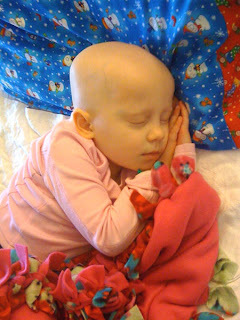 Hang in there, Elle, and keep fighting. Your determination is wonderful.